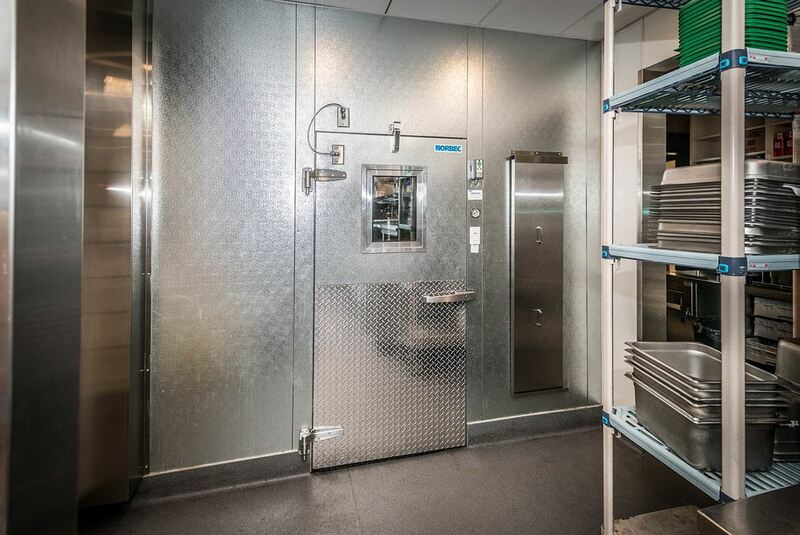 As the leading cold room manufacturing in the foodservice industry, Norbec offers custom cold rooms to meet any project specification. Norbec has designed thousands of projects from restaurants, hotels, professional kitchens and more. Their custom cold rooms are manufactured according to specification dimensions while taking into account available space. Multiple configurations are available: coolers, freezers, combos, refrigerated or dry storage. Solutions are tailored to any needs to allow the maximal use of any space. Norbec provides peace of mind turnkey solutions for all cold rooms, accessories, refrigeration and installation needs. Norbec’s experienced teams are present throughout every step of a project, no matter its complexity. Norbec is equipped with state-of-the-art design and highly flexible manufacturing systems, unique to NORBEC that allows the manufacturing of custom built products in record time.